Graded is continuously striving to enhance educational delivery. 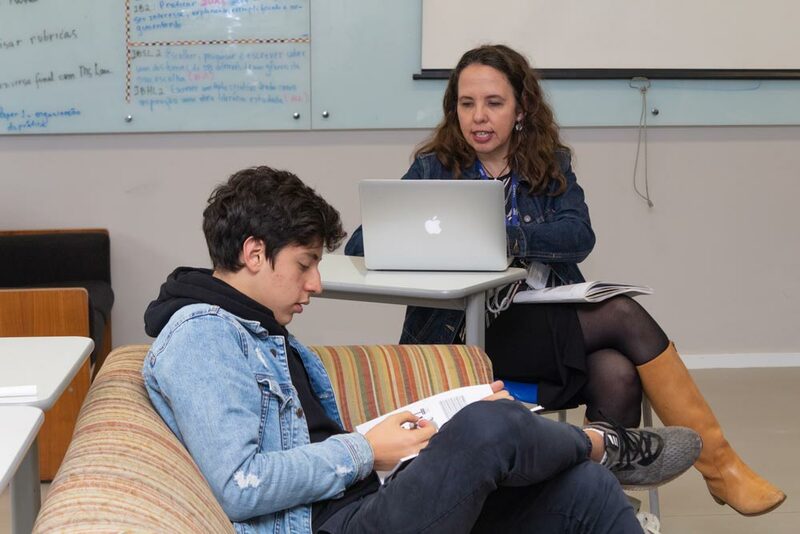 We are committed to ensuring that all of our teaching and learning initiatives are meaningful, interrelated, and authentic, and furthermore, that they fully prepare our students for college and beyond. To this end, we have invited some of the world’s best thought leaders to join us to participate in Think Tank on April 8-9, 2019. Together, we will work to create an even more robust, vibrant learning environment, fostering transformational outcomes for students and teachers alike. Parents and students are invited to attend a Think Tank Panel Discussion with panelists on Monday, April 8, from 3:30-4:30 pm in Graded’s Black Box Theater. Seating is limited, so please RSVP HERE. 1. 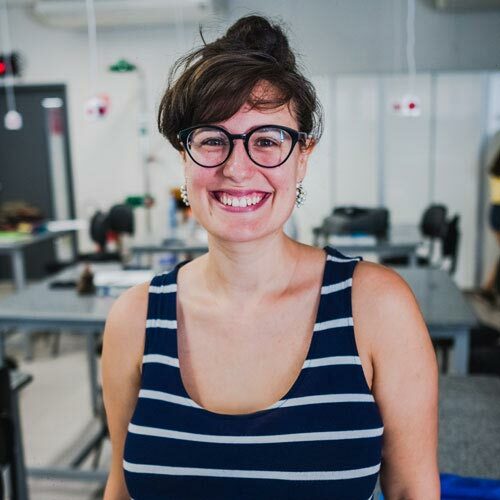 You studied visual arts at Belas Artes and then took a post-grad course in art history at Fundação Armando Alvares Penteado (FAAP). What led you to teaching? Art was something I discovered by doing. I had always loved doing art, but I didn’t know I loved teaching it until I started volunteering at my sons’ Montessori school in the US when we lived there. It came naturally to me, and I felt I had found my passion! Once back in Brazil, I volunteered at Graded, and this confirmed what I had discovered in the US — that I really enjoy teaching and, at the same time, learning from my students. I can’t imagine myself doing anything else. 2. You started the Hearty Bowl Project several years ago. What is it? 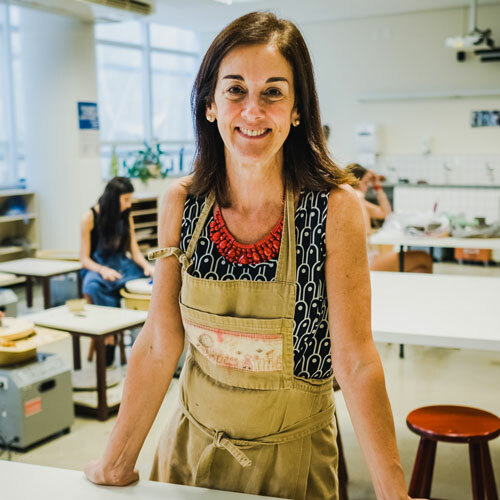 I came up with the idea for Hearty Bowls after visiting ACTC – the Casa do Coração, an institution that supports young children and their families during their treatment for heart disease. There are similar projects around the world, but I adapted the Hearty Bowl idea to fit our needs. For three years now, the Graded community has been spending part of the year creating and decorating ceramic bowls. We then organize an event at which a variety of soups is served in these bowls. When you buy a ticket for the event – for which we receive amazing donations of soups, desserts, music, and decorations – you can choose a bowl to eat your soup in, and you keep the bowl when the meal is over. We donate all proceeds from the event to ACTC, and the project has become a great opportunity to bring the community together to help a good cause. 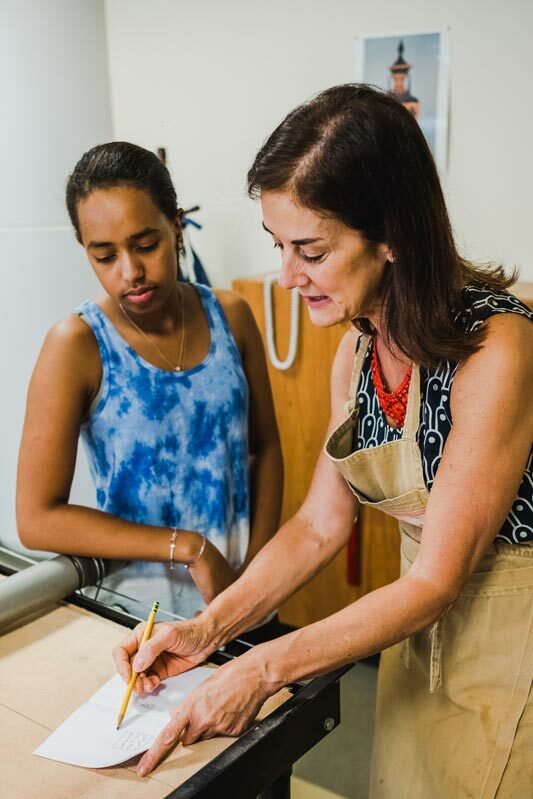 Parents, teachers, administrators, and friends make bowls during students’ classes, after school, or on Saturday afternoons. At the same time, they’re helping a great cause. It’s wonderful to see members of the Graded community relax, learn something new, and interact with different people. 3. What is something about yourself that you’d like to change, but you suspect you probably won’t? I need to learn how to say no, because too many times I get overloaded and overwhelmed. The problem is that I enjoy it! 4. You have been teaching at Graded for more than 30 years, in all levels from Pre-primary through High School. 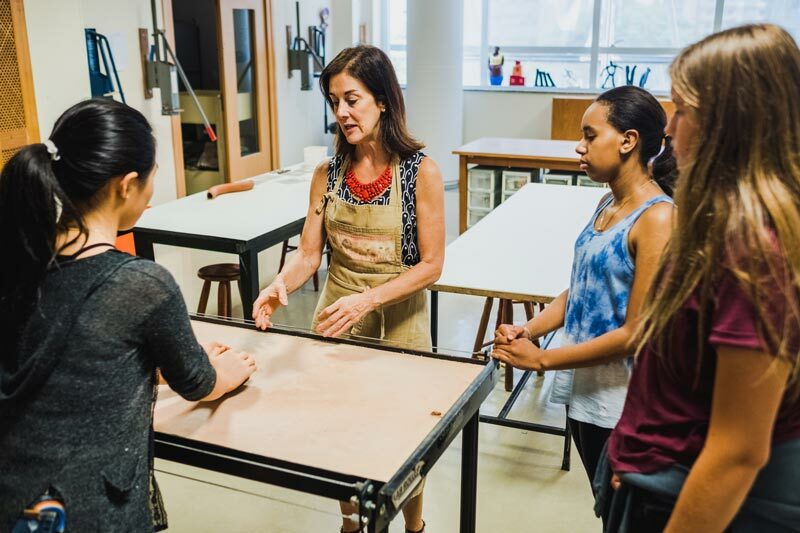 What’s the most interesting aspect of teaching art to Upper School students? I love to see the students’ satisfaction in creating something new, discovering a new talent that they did not know they had, or finishing a work of art and feeling proud of what they have just created. I really enjoy talking about their work with them. 5. What’s your strongest sense? I’m a good listener. I like to listen to people’s stories, and I do it with a real interest, which makes them feel comfortable talking and sharing with me many different aspects of their personal lives. 6. You were one of the founders of FALA. What is FALA and why was it so important to you for many years? I have always liked to do community service and get involved in social work, and FALA is a good example of that. FALA started much smaller and was very different from what it is nowadays. There was a small group of High School students who were the teachers, and we just coordinated the program and helped the student teachers plan their lessons. It was very basic at first. We would go to different communities and teach in the living room of someone’s house or at a small center, very informally. We never knew exactly who would show up to go with us and who would attend the classes. As the program grew and needed more structure, we began to bring our outside students to Graded. I spent 12 years working with FALA, and it was really satisfying to see the project develop and grow, as well as see our Graded students commit to and care for their FALA students. 7. What one new thing did you learn in the last week? Last week, I tried a new recipe for chocolate pudding that I made for my grandchildren who were visiting from Canada. 8. Do you have a favorite painting or drawing? What makes it special to you? I love Vincent Van Gogh’s paintings. His passion and talent are inspiring! 9. What is a favorite memory of your grandparents? Sunday lunch at their house! My grandfather had an Italian background and my grandmother always made us amazing meals! We also got to see our cousins and it was always fun – loud, happy, and festive. The Lemann-Tully Arts Center is amazing, and the people I work with, both students and teachers, truly inspire me. I’ve been working at Graded for more than 30 years, and it feels like home. That’s special! EVA team members at the Knowledge@Wharton High School Investment Competition at the University of Pennsylvania in March. From left: Guilhermo G., Breno S., Edmond S., João A., Felipe L., and advisor Frederico Mesnik '87. It started out with a small idea. Shortly thereafter, several members of Graded’s High School Investment Club organized themselves to form Eagles Value Added (EVA), the school’s first student-led investment team to compete in the University of Pennsylvania’s Knowledge@Wharton High School Investment Competition. The investment competition, launched in 2011, provides an investment simulation for high school students all over the world. Each team manages a $100,000 portfolio of virtual cash, and throughout the competition, students oversee risk, diversification, company and industry analysis. Every Thursday, the students would head to Trígono Capital, Mesnik’s asset management firm, to hear and learn from a group of professionals. “I don’t think I can emphasize how much we practiced,” said junior João A. His fellow team member junior Felipe L. recalled that although they worked very hard, they found the experience to be a tremendously enriching one. 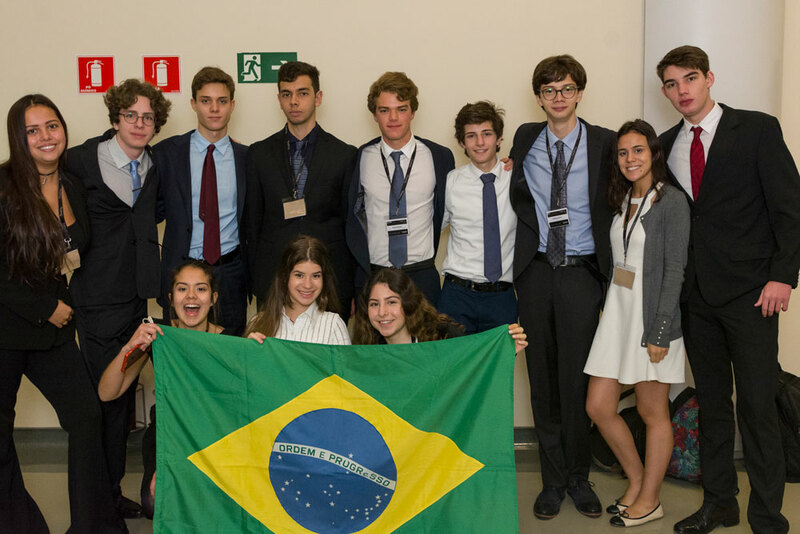 EVA’s first competitive experience took place during the Brazil Knowledge@Wharton High School Investment Competition, hosted by the Wharton Alumni Club of Brazil. Despite their initial nervousness, the team members felt prepared. After all, they had devoted numerous hours over the course of the year toward their strategy and portfolio. “They won the competition hosted by the Wharton Alumni Club of Brazil, but didn’t manage to go to the final [round of the competition] in Pennsylvania,” informed Mesnik. This year, EVA took gold again in the Brazilian competition and qualified to compete in Philadelphia’s Global Region 3 Finale in March. The team, joined by mentor Mesnik, traveled to the United States two weeks ago for 36 hours of real-world experience. Team members present their investment portfolio and strategy to judges. During their short trip, members visited BTG Pactual in New York City, where they had the opportunity to engage with the investment bank's key leaders. Immediately thereafter, they headed to the University of Pennsylvania for the competition. When the judges announced the winners, the team leapt for joy. EVA placed first among more than 650 high school investment teams, and advanced to the May Global Finale, where they will compete against eight other teams from China, India, and the United States. Most importantly, "students were able to learn a lot about leadership skills, team-building skills, and motivation, and all of these things that are important in the adult and professional life,” said Mesnik. Members celebrate after winners are announced. Photos are courtesy of Knowledge@Wharton High School. 1. You majored in engineering and applied sciences at California Institute of Technology and then went on to get an MA in mathematics education from the Columbia Teachers College. When and why did you realize you wanted to be a teacher? When I went to college, I chose a school where nearly everybody wanted to go on to do scientific research or work in “cool” mathematical money-making fields like finance, computer engineering, or computer graphics. I spent the first two and a half years of college exploring my own options in those areas, doing two years of research in the summers, and talking about corporate life (especially computer programmer life) with recently graduated friends, and I realized about halfway through my junior year that none of those lifestyles were for me. I had a bit of a crisis-of-future, skipped three weeks of classes to mope about it, and finally emerged with the idea that I would teach. It was hard for me because, despite the fact that I now know it to be one of the most challenging and rewarding careers in the world, at the time I didn’t think it seemed cool. But I am so much happier doing this than I would have been working in finance, business, or academia. 2. Look into the future. What math, science, or engineering courses do you imagine students will be taking in 20 years’ time that don’t exist now? Introduction to Quantum Computing. A quantum computer is a computer that takes advantage of the super weird behavior of very tiny particles; they can actually be in multiple states at the same time. This will theoretically allow an advanced quantum computer to do trillions of calculations simultaneously rather than one at a time and; one major result is that some problems that are very very hard or even impossible now because they take too long, (like cracking very advanced encryption) will be much easier. The entire mathematics of computer science will have to change to allow for these computers. 3. If you won an unlimited shopping spree at only one store, what store would you choose? Why? Probably the Apple Store because I’d buy it all and then resell it. I’d then spend the money to travel. My son would rather I choose a Lego store though. 4. How many times have you had stitches, and what were the circumstances? I’ve had stitches a few times, including one time when I broke my arm falling off a bike and another when I cut my hand using the wrong tool for the job, but my most interesting stitches are definitely the ones I got in grade 1. One night when I was sick, I woke up with the most horrendous stomach pain. I crawled into my parents' room, crying, and they could immediately tell it was a big deal and rushed me to the hospital. X-rays showed an intestinal blockage, but it was unclear what was happening, so I was rushed into middle-of-the-night exploratory surgery. This eventually revealed a small chicken bone that had rotated exactly the wrong way and got stuck. I have a huge scar from this surgery, much bigger than a modern appendicitis scar. 5. You’ve lived much of your adult life in both Nashville, Tennessee and New York City. After a semester in São Paulo, what do all three cities have in common, if anything? Normally I feel like we’re drawn to look for the differences in things, not the similarities. I haven’t spent enough time in São Paulo yet to feel like I know it nearly as well as the other two cities, but to me what makes a city exciting (from a small city like Nashville to a giant one like São Paulo) is the sense that you are often a bit anonymous, but also surrounded by life. 6. Are you superstitious? Give an example. Not really. I’m overly logical, if anything, which makes superstition hard. 7. What’s your least favorite thing to do? Grade papers, especially reassessments, especially when they aren’t going well. 8. If you had the opportunity to travel into space, would you go? Why or why not? Oh, geez. My instinct is to say yes, but when it came down to it, I don’t think I’d be willing to go through the months of physical training that would be necessary to handle it. The fact is that space is cool, but it’s also very scary. If I could just pop up there, see the earth from space, and then pop right down though, I’d do it for sure. 9. What’s one thing you know for sure? I am so bad at this kind of question, because I’m torn between cheesy-but-sincere platitudes like “Time spent working on happiness is never wasted time,” secret recommendations like “Buffy the Vampire Slayer changed the fabric of television and is a must-watch,” and snarky nerdy answers like “2 + 2 = 4.” So let’s just say all three of those things and call it a day. The kids, and the administrative and faculty culture of flexibility. My old school was wonderful, but occasionally suffered under a lack of willingness to try new things. I love that Graded is open to new ideas. 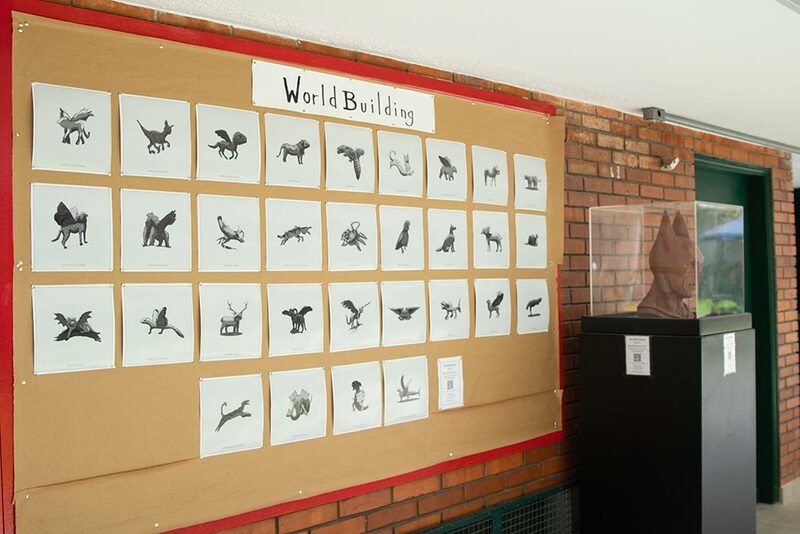 A dinosaur-bunny hybrid, a crocodile’s head on the body of an ostrich, a gecko with wings — these are only a few of the creatures students have created this semester in the WorldBuilding Program. 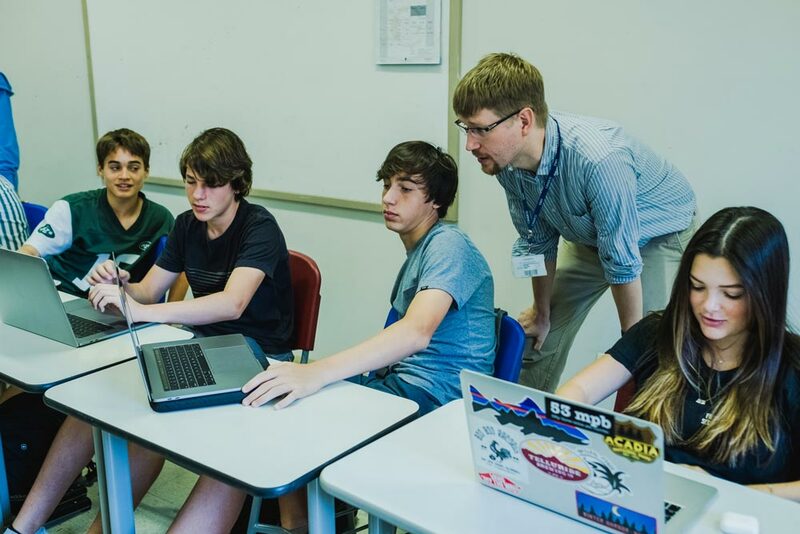 The brainchild of Graded alumnus Diego Dolph Johnson ’98, this new after-school STEAM (Science, Technology, Engineering, Arts, Mathematics) activity serves 34 Middle and High School students. Johnson, who double majored in political science and studio art at Swarthmore College, currently teaches art, maintains a studio practice, and serves as a board member of the Nemirovsky Foundation at the Pinacoteca do Estado de São Paulo. Inspired by the curriculum at California’s ArtCenter College of Design, Johnson created the WorldBuilding Program to teach students contemporary design processes. From 2D sketching and planning to 3D construction and printing, the program is divided into three separate, but interconnected, modules — Concept Art, Clay Sculpting, and 3D Sculpting. 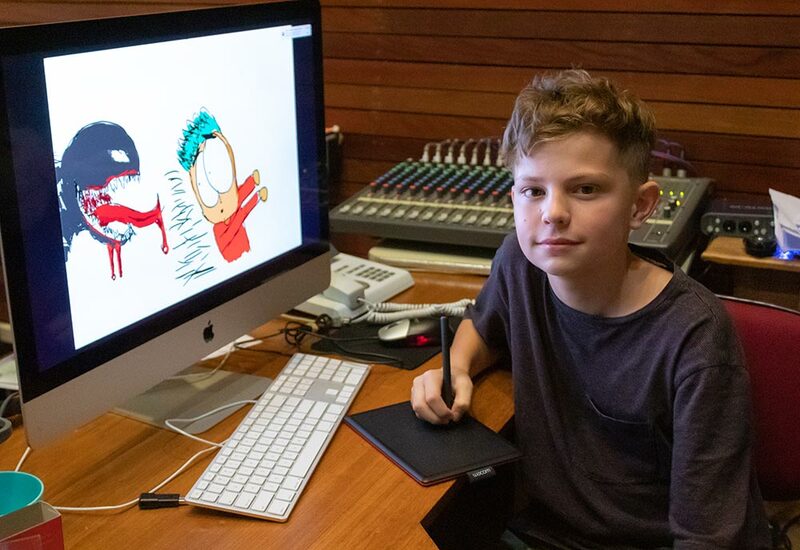 His students learn how to design characters, creatures, props, and environments using 2D and 3D software, tablets and stylus pens, as well as animation clay and 3D printers. "A Gecko with Wings." Designed by Clara V. (junior). Students are only limited by the boundaries of their creativity. "We draw and paint things that no one else would. Here, we can imagine our own things,” asserts Tobias D. E., a seventh grader in the program. WorldBuilding allows participants to develop their art and design skills. "I now know more about values and hues, light and darkness, and how to use these principles. And now we’re starting [to learn about] environmental art,” explains junior Clara V.
According to Johnson, he intends on "developing WorldBuilding into a design sharing platform that provides students the opportunity to collaborate creatively, taking over each others’ designs and transforming ideas into drawings, and drawings into clay and 3D printed objects." Johnson also aspires to collaborate with other Graded departments. 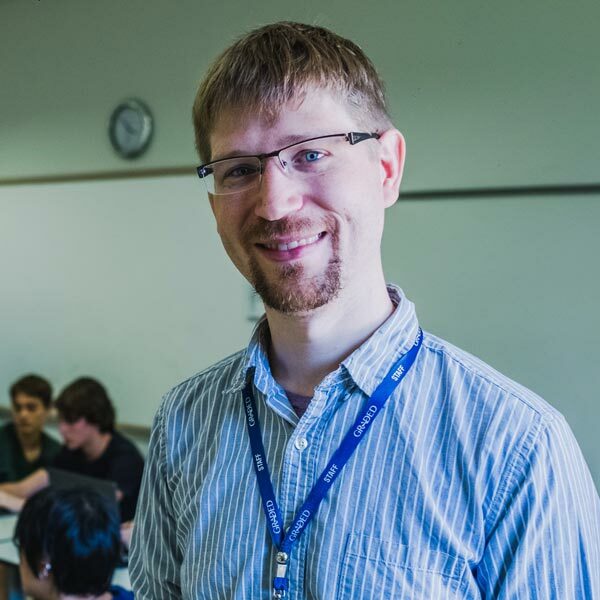 "I hope to develop synergy with the robotics, film, and programming areas by working collaboratively on robot shell designs and 3D objects for game development and animation." WorldBuilders’ unique designs are currently showcased outside Graded’s Auditorium. Learn more about the 2019 WorldBuilding Program here. 1. You majored in Portuguese and English at the University of São Paulo (USP) and also have a degree in education. Why teaching? Teaching inspires me because it allows me to provide my students with opportunities to develop their expression in a foreign language and their views of the world. Therefore, what I do impacts what students can do, in the new country they are living -- Brazil. It also may influence the future actions they may take. Who knows if their Portuguese will affect their ability to communicate, or help to make decisions when they're out in the world as the CEO a of a multinational company, the secretary-general of the UN, or the founder of a start-up company which positively impacts the world? 2. What’s your favorite podcast? Why? I listen to lots of podcasts. I love Hidden Brain, Invisibilia, and Braincast, but my favorite one is Mamilos - Jornalismo de Peito Aberto. The main goal of the two hosts is to discuss controversial or important themes with the help of subject experts. However, what really inspires me is that rather than just trying to prove a point, everybody in the podcast is engaged in building bridges and being open to new perspectives and points of view. 3. You have co-written several coursebooks for teaching English. What’s your favorite part of being a published author? I like the amount of creativity you are allowed to put into writing a coursebook. Having an exciting idea and being able to put it into practice has always made me happy. I also love thinking about how this kind of material can impact, support, and guide teachers and their classes. 4. Did you have any nicknames growing up and do you have one now? I was named after my Spanish great-grandmother, Laureana Castanho. Since Laureana is long and unusual in Portuguese, I have had tons of nicknames: Lau, Laurie, Lauren, Laura, and even Lana. Different people call me by specific nicknames. Friends normally call me Laurie, my oldest and closest friends say Lau, and my family calls me Lana. Here at Graded, my coworkers call me Lau and my students call me Ms. Lau. 5. You teach Portuguese as a second or additional language. If you could identify one thing that international students learning Portuguese could do to improve, what would it be? I would say it's the realization that learning a language is inextricably related to learning about culture. Being open to a new culture gives you greater experience with the language and, of course, more experience with a language opens you up to the culture. Learning a language allows you to see the world in a different way, through a new lens. Moreover, learning a new language makes your brain even more complex! For instance, in Portuguese and other Latin languages, the whole feminine, masculine, singular, and plural choices for nouns and adjectives certainly change how our brains process information. Isn't it beautiful that languages shape the way we think and see the world? 6. If you could change one thing about your appearance, what would it be? I wouldn't be so short-sighted! I have been wearing glasses since I was seven! I have an adorable Yorkshire Terrier named Mel. Like the owner of any pet, I love her to the moon and back. She has won the hearts of our whole family. 8. What’s the last movie you went to the movie theater to see? What’s your view of the movie? One of the last movies I saw is Tully. I found it extremely accurate (and disturbing). It is a candid, yet sensitive, look at being a parent, especially a mother. 9. What would make you totally content right now? I know it's wishful thinking, but what would really make me happy right now is to witness people truly putting the needs of the community before their own. Community can be just a group of friends, or it can be much bigger – such as a school, neighborhood, city, or country. My favorite thing about Graded is its sense of community and its diversity. I teach or have taught American, Swedish, Argentinian, Colombian, Korean, Japanese, South African, French, Danish, Mexican, and Spanish students -- to name a just a few! I also love learning, and each and every day I learn something new because I work here. I learn a lot from my students! I also love to see how Graded students take a leading and enthusiastic role in their learning journeys. A new school year brings about a fresh start and novel opportunities. This certainly is the case for our Graded Athletics program. With the Athletics Center set to open in February 2019, a new generation of Eagles will be training and competing in our world-class facilities. Along with the brand new Athletics Center, our students will have some exciting athletic opportunities this year. Joining this international conference places Graded on par with the world’s most elite international schools, much in the way that our arts students participate globally in The Association for Music in International Schools (AMIS). It is a benefit to our High School students when they can report that they have competed in athletics tournaments on an international level. By participating in SAAC, Graded will also be able to expand its sports opportunities and compete internationally, not just in soccer, basketball, and volleyball, but also in swimming, track and field, cross country, and in the future, tennis. Graded athletics teams will now compete in tournaments at NR camp one semester and participate in the SAAC tournament the next. 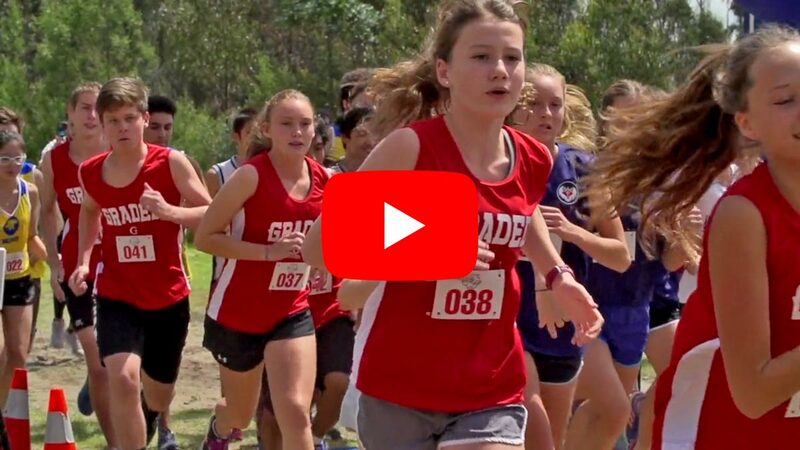 This new format doubles our athletes’ opportunities to compete while better managing out-of-school time. Additionally, the combination of SAAC and NR will allow us to develop year-round competitive opportunities for our students. Beginning in 2018-19, our basketball, volleyball, and swimming programs will be full-year. We are evaluating the possibility of this arrangement for other sports, too. We are still working to resolve first-semester SAAC and Big Eight soccer travel date conflicts for this school year but there are ideas for the next school year. Our junior varsity (JV) Little Eight tournaments will maintain their current schedule. We are excited to bring international school tournaments back to our Graded campus as well. In 2019, we will host the SAAC Track and Field/Cross Country Tournament. The following school year, we will host the SAAC Swimming Tournament at our new swimming facility. These events will bring our community together as we showcase our spirit and hospitality. 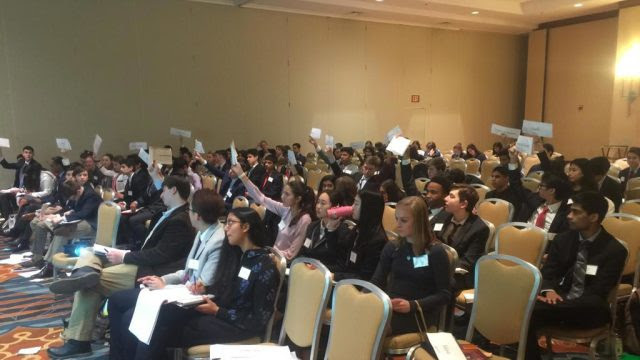 We will host approximately 150 students per tournament, equivalent to the number of students we hosted during our last Model United Nations event. We are confident that Graded’s participation in the SAAC and restructured Big Four and Big Eight Tournaments will be a true enhancement to our High School athletics offerings. As we approach our centennial and the opening of our new, state-of-the-art Athletics Center, Graded continues to strive for excellence in all aspects of the student experience. 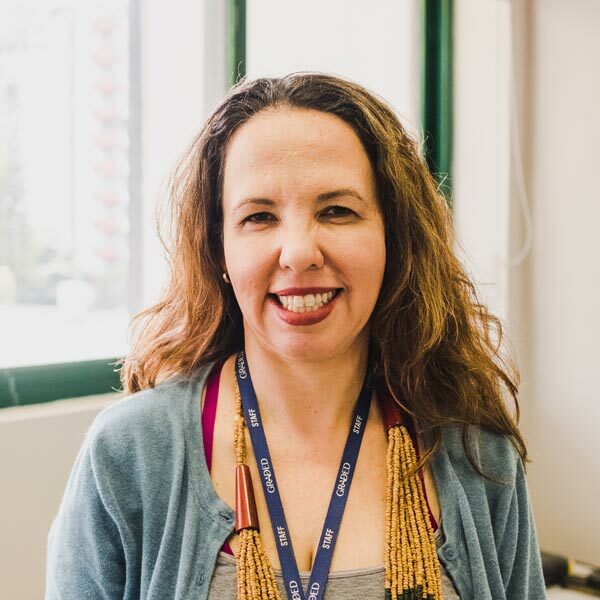 How do we ensure that students who are exposed to multiple sets of academic standards in both English and Portuguese have consistent experiences? This challenge has become Graded’s teaching and learning “problem of practice.” To increase academic achievement and prepare students to excel, Graded is committed to providing a rigorous education while aligning curriculum and academic expectations. During Graded’s Strategic Plan process, focus groups identified the need for a consistent experience for students, regardless of the language of instruction. Using stakeholder input as well as academic achievement data, the strategic plan outlines goals and initiatives that ensure that courses are vertically aligned, scaffolding from one grade level to the next. We want to develop quality assessments that ensure consistency in PP-12 structures and expectations in both English and Portuguese courses. 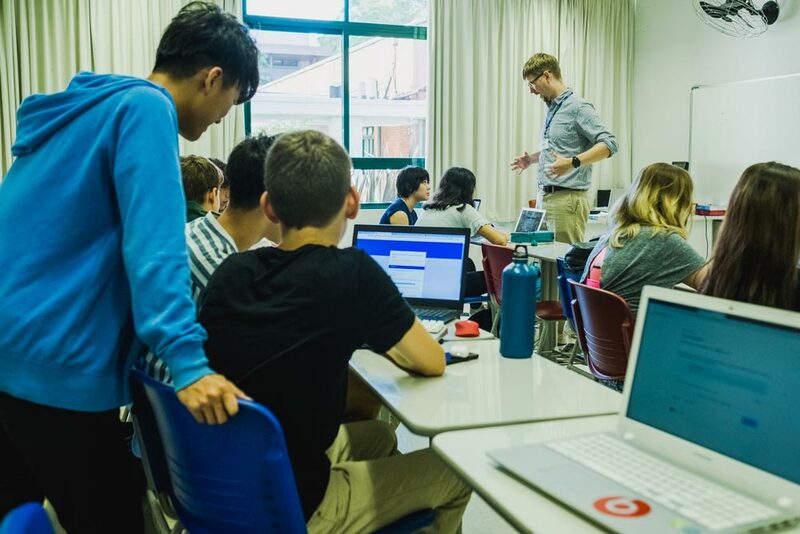 By vertically aligning standards across languages, we can provide a seamless transition between our Lower School, Middle School, and High School, as well as between our Portuguese and English curricula. We are deepening our understanding of academic standards and expectations. This is done through the creation of learning targets, and development of a PP-12 vertical alignment focused on quality formative and summative assessments. The process of curriculum work requires the identification and prioritization of skills and content necessary for students to be successful from year to year. To ensure that Graded students have what they need for future success, the goal is to go deep and narrow the number of standards taught in both languages and across content areas. By doing this we ensure from grade to grade that students have the skills necessary for increasing academics. Faculty are utilizing the research of Larry Ainsworth, to select the most important standards to be mastered (power standards) using three criteria: readiness, leverage, and the knowledge of the student in the classroom. 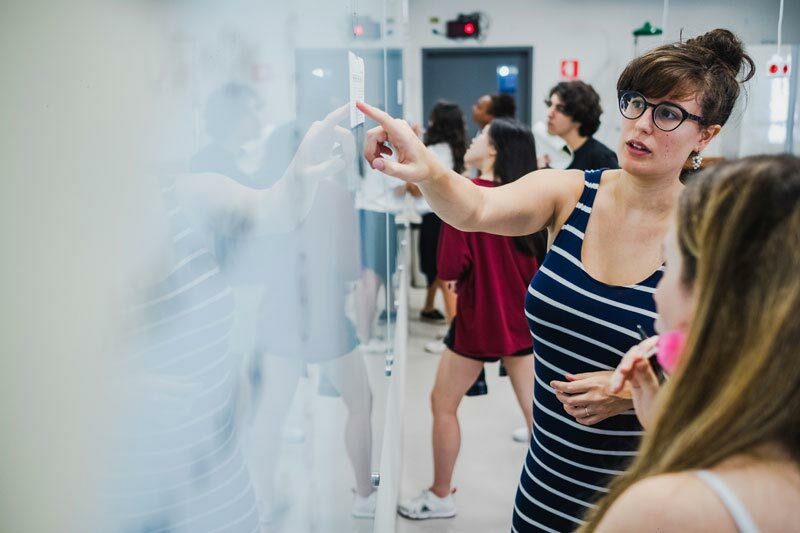 The release of new Brazilian National Standards, the Base Nacional Comum Curricular (BNCC) provides us with an opportune time for teachers to begin discussing the commonalities between the American Education Reaches Out (AERO) standards and the BNCC. 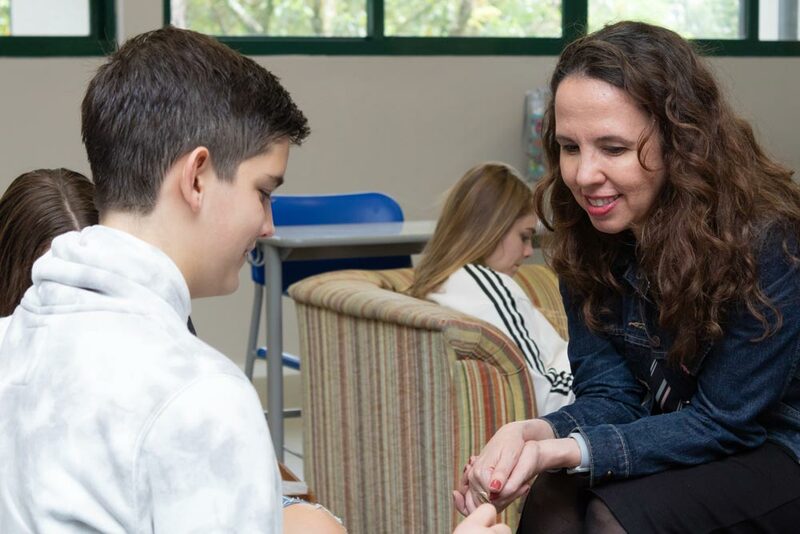 The rationale for the discussion centers on the experience of the Brazilian student whose instructional day is primarily in English and with a lesser percentage of instruction in the first language of Portuguese. Individual courses and instruction across all content areas are strong, but there is a need for academic experiences between the two curricula to be systemically connected. 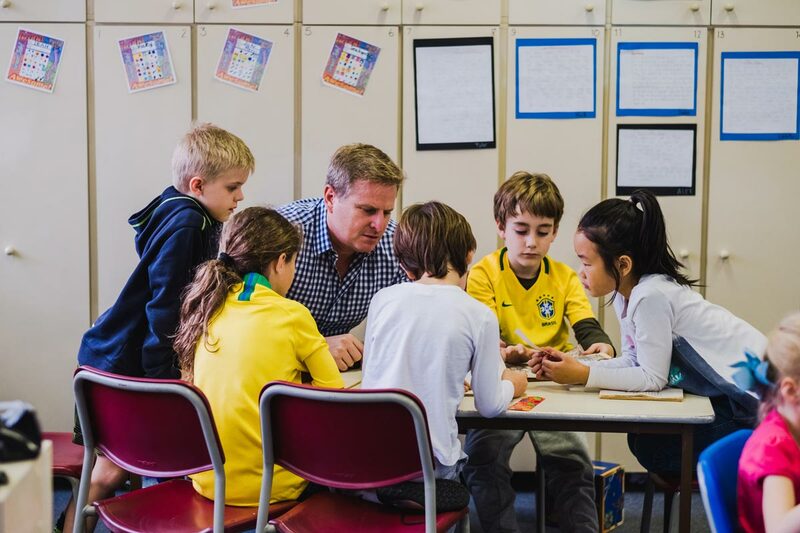 A focus on common skills emphasizes the student's educational experience in English. Language development research shows that instruction of common skills in both languages enhances the heritage language and increases academic achievement. Recognizing that the foundations of both standards--AERO and the BNCC--are aligned, we have started this process by creating a document evaluating the commonalities between AERO and BNCC most important skills and content and focusing on correlating academic skills. After completing the vertical alignment of their PP-12 expectations, the English and Portuguese departments are correlating standards across languages. The vertical alignment of PP-12 standards inclusive of common skills, outcomes, and mastery expectations will result in a more rigorous, deeper experience for students, regardless of the language of instruction. This process of linking the AERO standards with the BNCC standards has sparked conversations. How we can use one set of standards to support the other set of standards? How can we enable teachers to articulate when and why the one set of standards may support the other standards in depth? Discussing the meaning of the different standards has prompted richer, deeper conversations between English and Portuguese teachers. This work is resulting in common faculty understandings of the various skills students need. As we finalize the linking of the AERO and BNCC standards PP-12, we are also evaluating how to align our assessments. Utilizing common assessments in English and Portuguese that have similar skills and common standards provides us with an evaluation of similar skills in both languages. The results will allow faculty to address and to understand student needs. Assessing common power standards to evaluate skills and areas of challenges in both languages is a way to identify students who have academic needs that go beyond language development. While evaluation is only one data point, the results help to support the identification of bilingual students who may need cognitive supports in addition to second language services. We are still a long way from being finished, but this work on standards and assessments has allowed us to address our problem of practice. It has started us down a road of providing a seamless experience for all students in grades PP-12 both vertically and across languages. 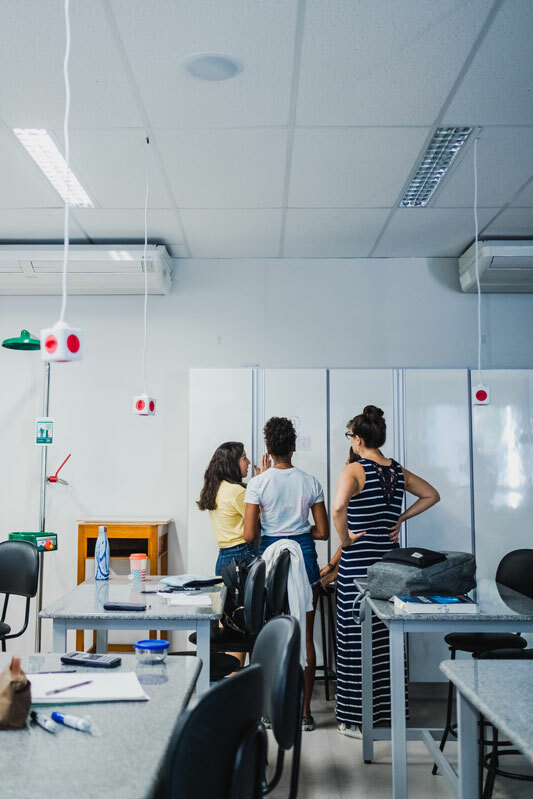 It has also created some unintended positive results, including curricular conversations between foreign and Brazilian faculty about definitions of rigor and academic expectations.